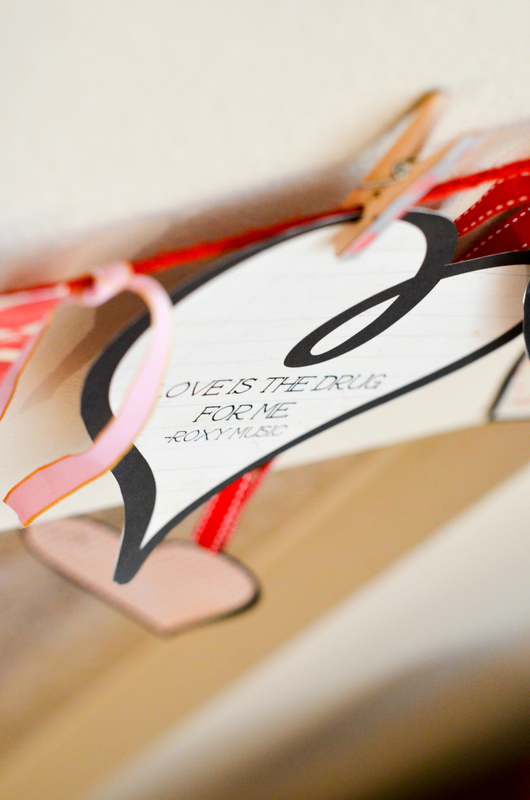 Three inanimate objects that melt my heart at Valentine’s are: decorative paper, ribbon, and love quotes. I know, where are the diamonds? The dark chocolate? The Champagne? Friend, please know I would never snub these, but the latter bring me as much joy. We all have our idiosyncrasies. After my Valentine card making post last week, I kept cutting and pasting. 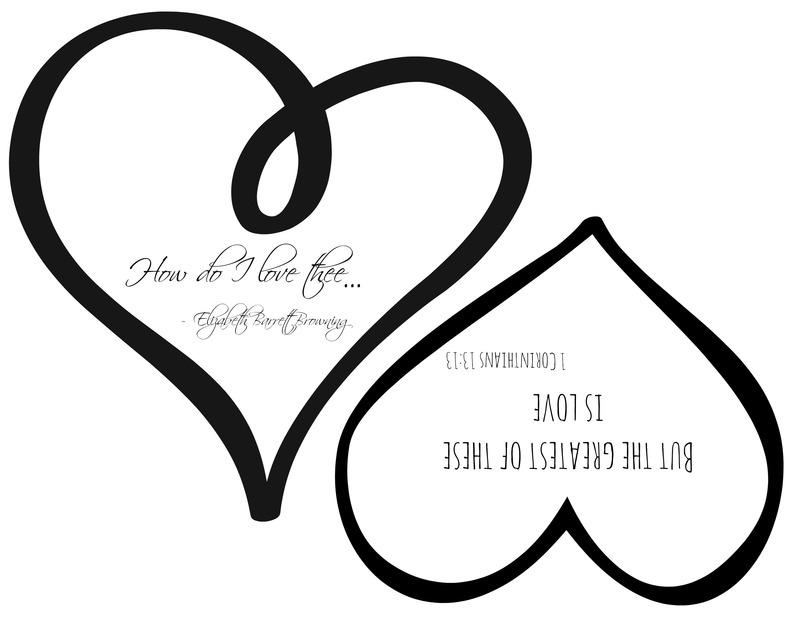 Today’s post has two more Valentine crafts to keep your heart a flutter and looking through rose-colored glasses. Pinterest provides an endless supply of creative crafts. 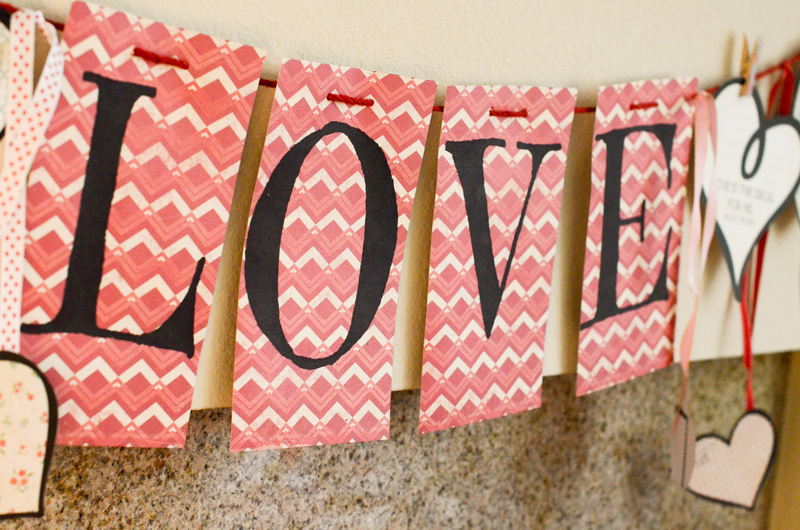 One that caught my eye created a ribbon of daily love post-its to your child for the month of February. Think of it as Cupid’s advent calendar. Ouisie wakes excited to find her new love note each morning. I enjoy meditating on my post-it throughout the day like a daily devotional. 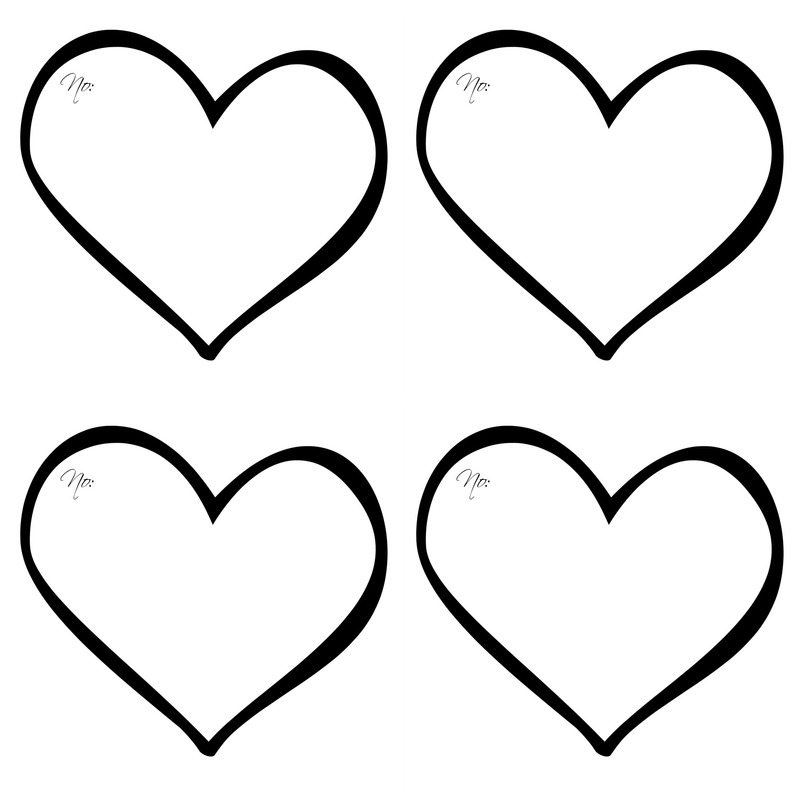 To make your own “Tugging at Mom’s Heartstrings”, you will need: decorative ribbon, decorative paper/card stock, pen or stamps, double-sided tape. So here is where I confess my crush on bunting. I have always admired it, but fell truly in love with bunting while living in England. From village fêtes to farmers markets, nothing embodies the cohesive British spirit more than a strand of bunting. Bunting was a constant featured decoration at the cottage for birthdays, the Diamond Jubilee, the Olympics, and summer BBQs. As I do not own a sewing machine (yet), I enjoy making paper bunting to include one for Ouisie’s 2nd birthday. 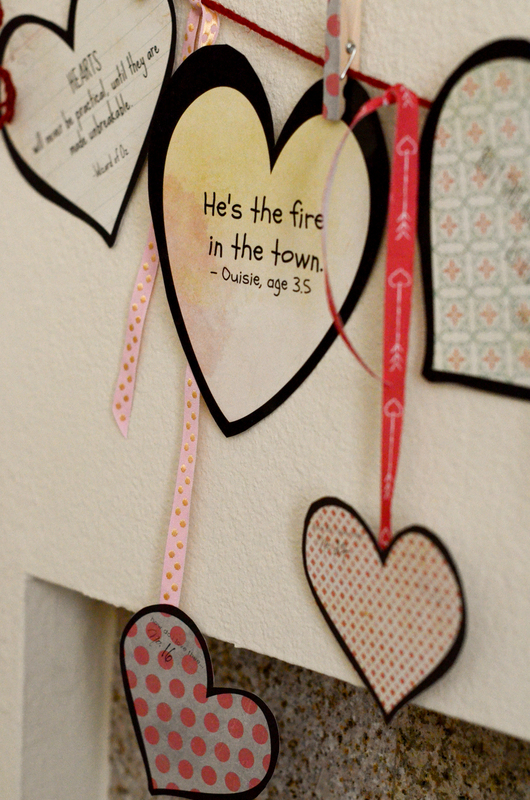 You can find details of this craft from the “A bunting I go” post. This week as I stared at our vacant hearth, it seemed to cry out for a strand of hearts. And so I started printing and cutting. 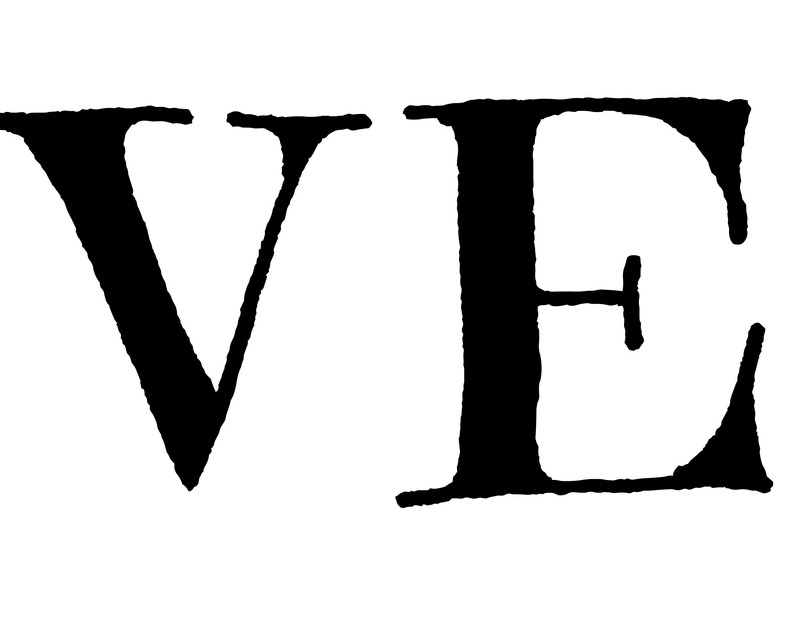 The end result, a bold statement of love. Just looking at it makes me all warm and fuzzy. 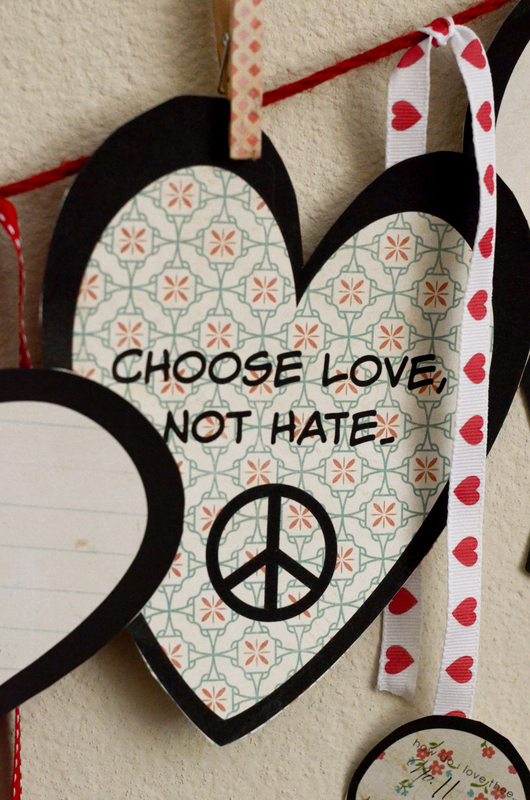 To make your “All A Bunt Love”, you’ll need: Decorative string or twine, decorative or plain cardstock paper, and a hole puncher. Optional: decorative ribbons and clothespins. 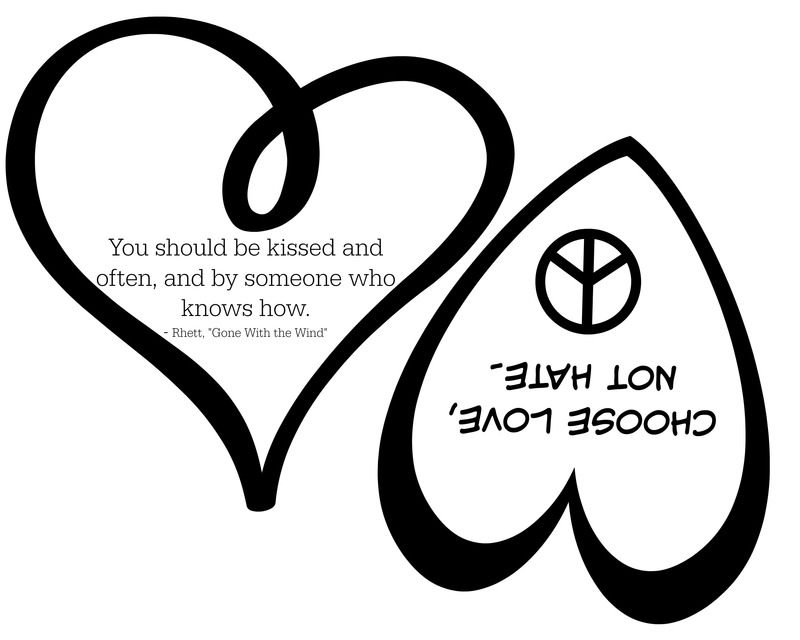 Below are three love quote templates. 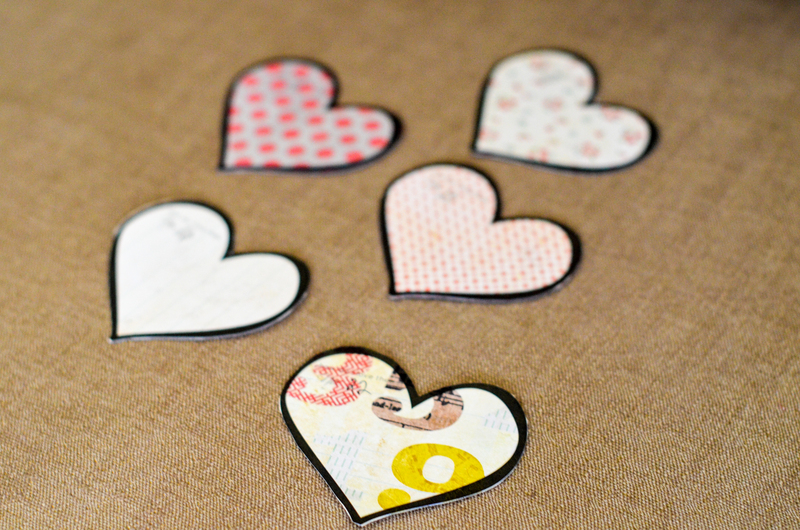 Again, simply print on to your preferred decorative paper, cut out the hearts, punch holes in top, and thread through the string. I’m praying for strength to see her through puberty ten years from now. 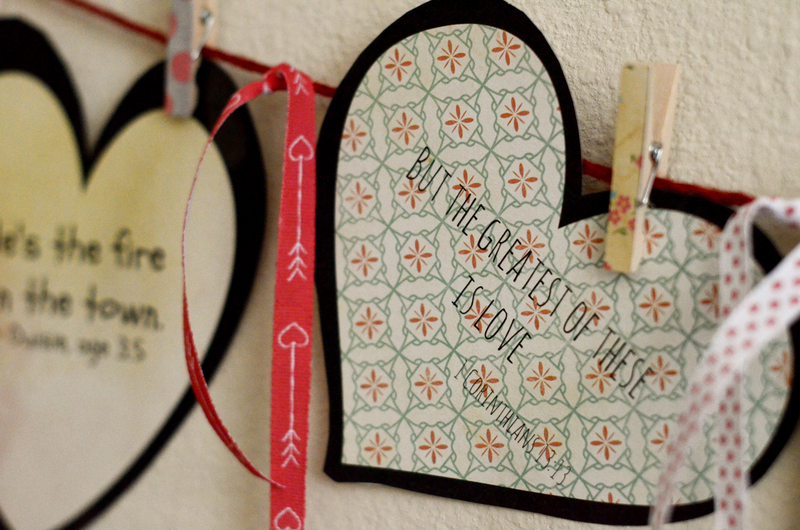 Rather than punch holes in the hearts, I attached them to the string using mini-clothespins. 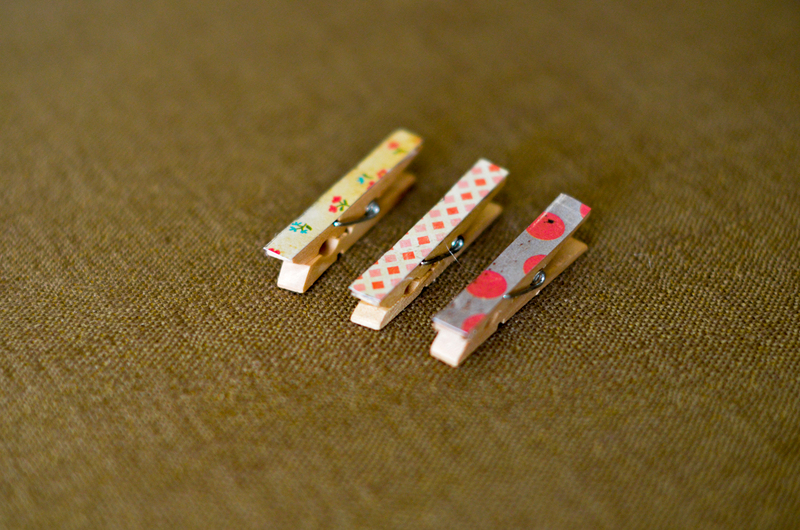 To embellish the clothespins I glued some of the decorative paper onto each face. 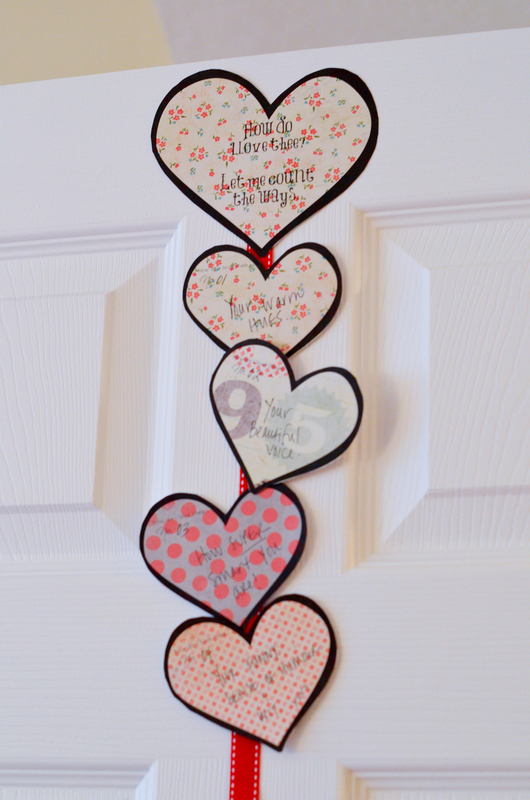 For a final touch, I used smaller hearts from the above heart collage template and attached them to the decorative ribbon tied throughout the bunting strand. I hope these sweet nothings tug at your heartstrings, too. 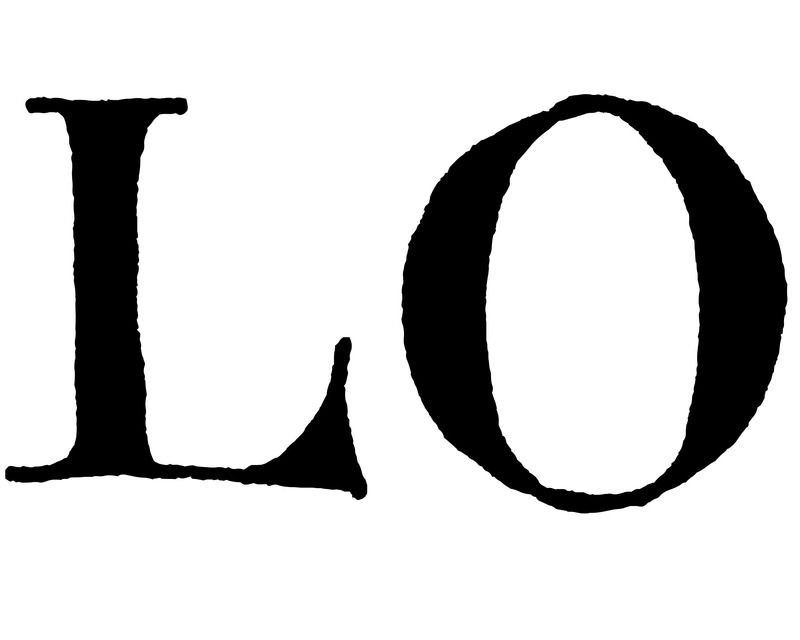 And remember, love is all you need. Too sweet! 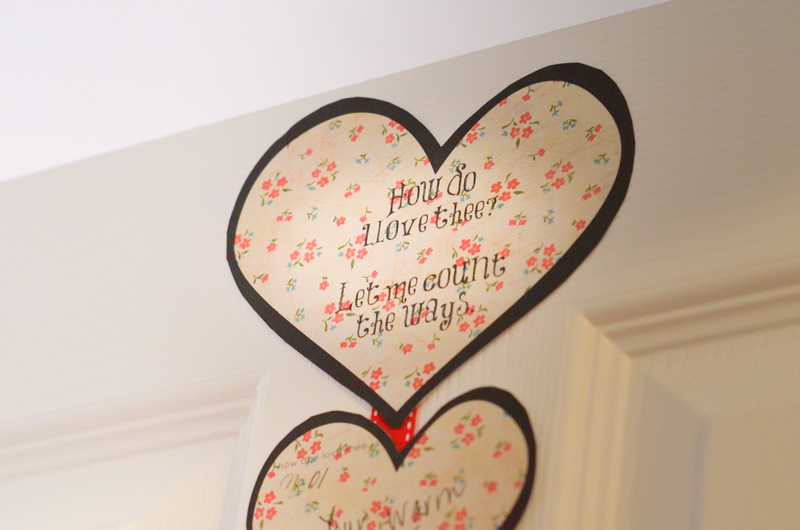 Wish you were here to decorate our house with valentines and bunting! 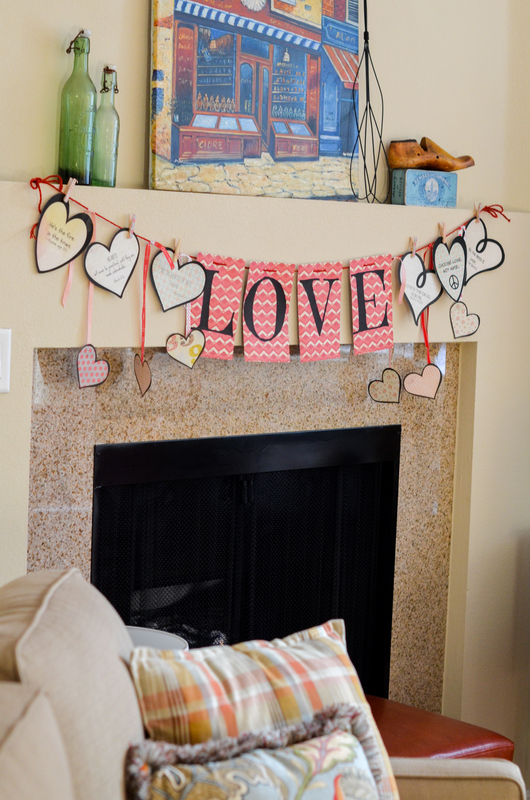 I love this Valentine decor idea. 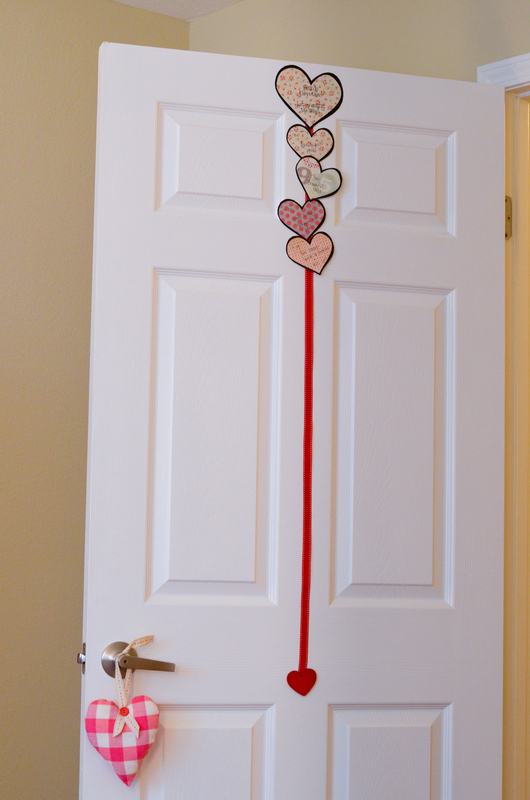 I did a post of Valentine crafts ideas and I included a link to this post. I do not see a pingback here which I was expecting. I am hoping that it is awaiting moderation. But here is my site with the link to your great post. Thank you. I was very glad to come across this idea and happy to share and link to your post.